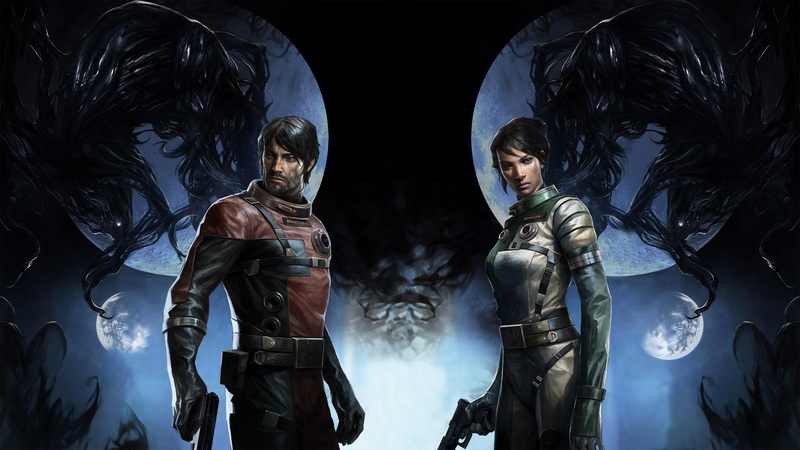 If you managed to complete Prey, you may be wondering what other endings exist in the game, how to unlock these endings, and what each of these endings mean when it comes to the main story of Prey. 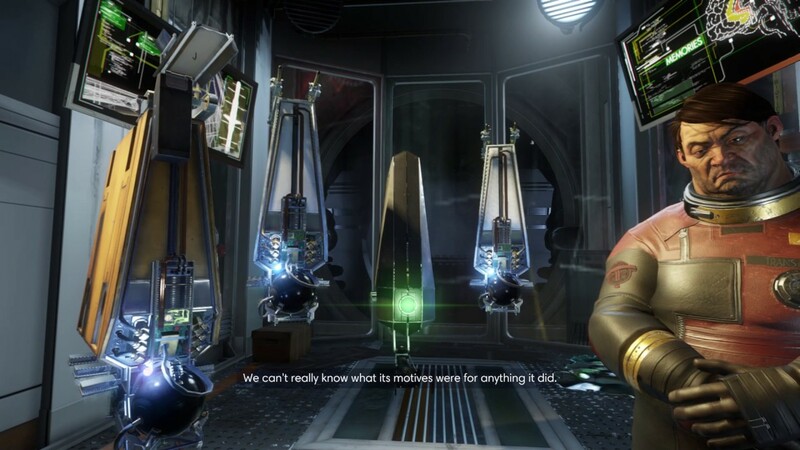 In Prey, there are currently three different endings and two different after credits scenes you can earn depending on your actions and choices in the game. Below, we’ll go over the details of each ending and after credits sequence in Prey, explain how to unlock these endings, then discuss what these particular endings mean in relation to the game’s story. Note: Spoiler warning, this article contains each and every Prey ending as well as various story elements. 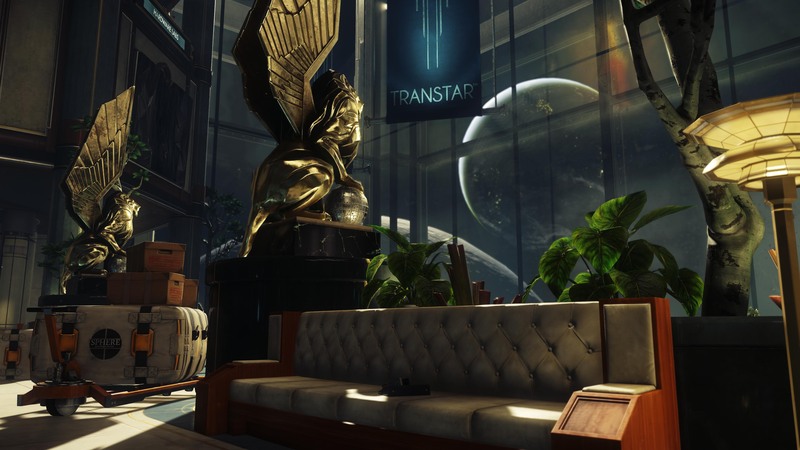 In Prey's A Mind Without Limits ending, you destroy the Typhon but keep Talos I intact. 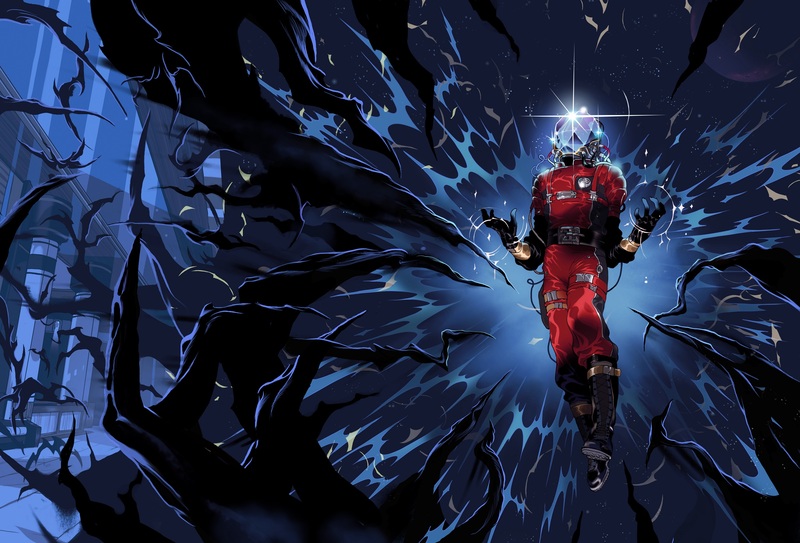 The first ending you can earn in Prey is called, “A Mind Without Limits.” To earn this ending, you’ll need to make a few crucial decisions at the end that may go against the instructions you’ve been following in Prey thus far. Essentially, you need to sneak past one of the Typhon enemies (which can be rather difficult), and you’ll also need to kill a friend (which can be harder than sneaking past the Typhon). To earn A Mind Without Limits, you’ll first need to make your way through Prey following instructions up until the part where you meet Alex. Here, he’ll hand over the Prototype Nullwave Transmitter Fabrication Plan. Once you have the Fabrication Plan, an extremely large Typhon known as the “Apex Typhon” will begin attacking Talos I. Here, you’re given the option to either save Alex or kill him, but note that this decision has little bearing on the ending (though it may impact the after credits sequence). For us, we decided to kill Alex and carry him around as a meat shield, but the choice really is up to you. Moving on, after you deal with Alex, make your way to the nearest Fabricator and craft the Prototype Nullwave Transmitter. Next, return to Psychotronics and the Containment Chamber inside. Note that near the entrance to G.U.T.S. there’s a hatch leading to the Containment Chamber. Here, you’ll face off against several powerful Typhon as you make your way to the place where you’re required to install the Prototype. In the center of the Low Gravity Room there’s a sphere you’ll need to access, which you should do prior to venturing off towards the Command Deck. When you reach the Command Deck, you’ll meet up with either January or Alex (depending on whether or not you killed Alex and used him as a meat shield). If it’s January you’re meeting, you’ll be forced to kill him. Yes, we know, this is hard considering how he’s guided you around Talos I for the majority of the game. However, the reason why January must be killed is because he was specifically programmed to help you destroy the entirety of Talos I. If you’re looking to earn the ending, A Mind Without Limits, you cannot let January continue on as previously planned. With January dead, you’ll need to activate the Transmitter which will destroy the Apex Typhon and all of the Mimics aboard Talos I. A Mind Without Limits ends with you and everyone else you’ve saved throughout Prey alive and Talos I still intact. In Prey's Perdition ending, you can choose to go down with the ship, or leave alongside those you saved. The next ending you can get in Prey is called “Perdition” and is the one that you and January concocted from the start in case of an emergency. Unfortunately, this ending may not feel as satisfying as A Mind Without Limits depending on your actions throughout Prey. The Perdition ending requires you to proceed with the same steps as A Mind Without Limits, with the one difference being that after the Apex Typhon begins to attack Talos I, you’ll need to knock Alex out and loot his body for the Arming Key. Here, you can choose to save him by dragging him down to the bunker, or you can leave him there to rot. Again, this won’t impact the Perdition ending too much but may impact your after credits sequence. Next, you’ll want to head to the Power Plant where you’ll encounter two Technopaths. After defeating them, you’ll head to an access panel that unlocks the hatch to the self-destruct console (because all space stations need a self-destruct button). Now, insert Morgan’s key into the left slot and Alex’s key into the right slot. With that done, head to the Bridge and up to the Captain’s Loft to initiate the self-destruct sequence. An 8-minute timer will begin to count down, and there are three different ways this can end. 1) You Die: Morgan decides to remain on Talos I as it self-destructs around him. If you saved Alex, he’ll die alongside you, as there’s no way to convince him to escape and leave you behind. 2) You Escape: If you snagged the key to Alex’s Escape Pod, you can use it to escape Talos I. The Escape Pod is located at the top of the Arboretum, and you have the option to fly to it, close the door behind you, and trigger the launch. You will live, but everything aboard Talos I will die, including Alex. 3) You Escape With Survivors: This is the best ending of the three. If you managed to save some or all of the survivors aboard Talos I, you can actually make it out alive alongside the survivors. This requires a bit of speed and skill, as you’ll need to head to the Shuttle Bay in the Main Lobby, defeat the Typhon, then race off to Dahl’s Shuttle. All of the survivors you saved will be there, and once you reach the cockpit, you and the survivors leave together. Talos I and everything/everyone else on board is destroyed, while you and the survivors escape. In Prey's Abandon Ship ending, you decide to save yourself and leave everyone else behind. In the Abandon Ship ending, you can flee all of your obligations and responsibilities. No, seriously. You can leave the Typhon and the remaining survivors alone to fend for themselves, and in general, just head off into the sunset alone to do whatever you please. 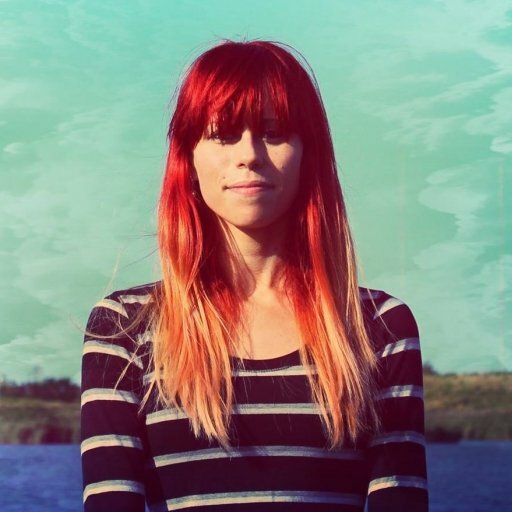 Of course, when you get to Alex’s Escape Pod your buddy January will try to talk you out of it. Basically, everything in Prey has been a giant test. The Abandon Ship ending may confuse you at first, but additional information will be provided once you reach the after credits sequence. After the credits, you'll discover you were a Typhon and the entire thing was merely a test. Finally, there are two after credits scenes you can get in Prey. This may or may not come as a surprise, but while you were playing Prey, you were being graded on your actions. If you decided to play nice in Prey, you’ll wake up to see Alex alongside a few Operators. Here, they’ll comment on your actions including the use of certain Neuromods, who you decided to save, and which quests you managed to complete. Next, you look down at yourself and realize you’re actually not the human known as Morgan Yu, but a Typhon. Here, you get the confirmation that the entire game was a test to see if you were indeed a “good” alien, or one that couldn’t be trusted. The test itself was indeed based around Morgan Yu’s legitimate memories. Unfortunately, he was unable to save the world, so this experiment was put in place to see if humans and Typhon could get along. This is the best possible outcome in Prey. In the second after credits sequence, you decide to simply kill everyone using your Typhon powers. Unfortunately, if you failed to pass the test you will receive the “bad” after credits sequence in Prey. Much of this ending is the same as the previous after credits sequence, as your actions and choices throughout Prey will be judged accordingly. 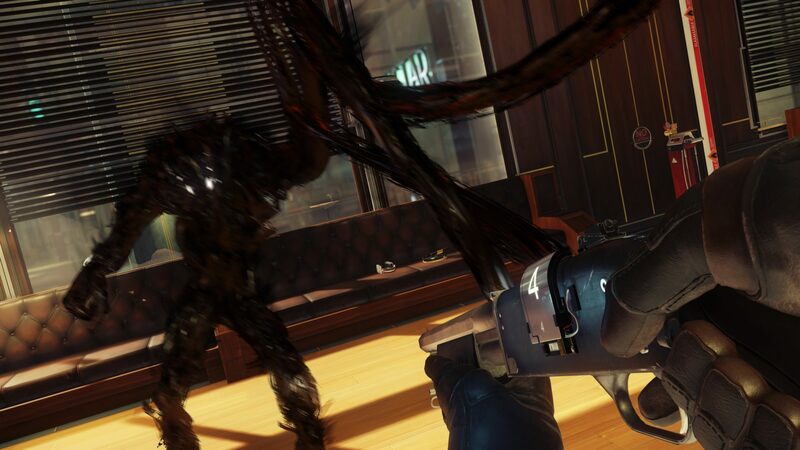 If you fail to pass the test, no matter how well you think you played Prey, you can either take Alex's hand, or save yourself by brutally murdering him. This is definitely grisly, as you watch Alex Yu’s slaughter by way of the tendrils extending from your body. Here, you essentially prioritize your own survival and escape from Talos I confirming that the Typhon and humans will never coexist in peace. Humanity has failed, and you essentially go on your merry Typhon way. 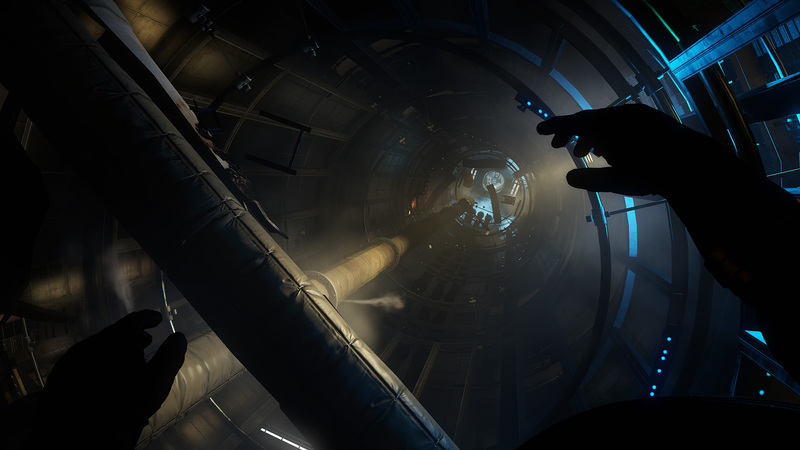 Which ending did you get in Prey? Were you satisfied with the result, or do you wish you could go back and do a few things differently? Let us know in the comments below! By reading through this article, you should now know all of the possible endings in Prey, how to get them, and the explanation of what they mean in relation to the story.